Lowest priced EXTRA large SUPER clean unit at Evergreen! Move in and enjoy! Prestigous Arl. Hts. location, close to shopping, dining, expressways. Large fully eqpd eat-in kitchen, huge Living Room, spacious Bedroom, sparkling bath, open flowing floor plan. 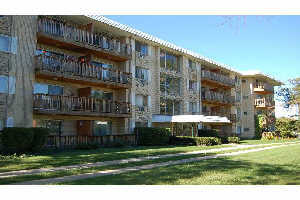 Great unit overlooking beautiful courtyard from large balcony. Elevator building, pool, playground. Modest Assoc fee INCLUDES WATER, HEAT!